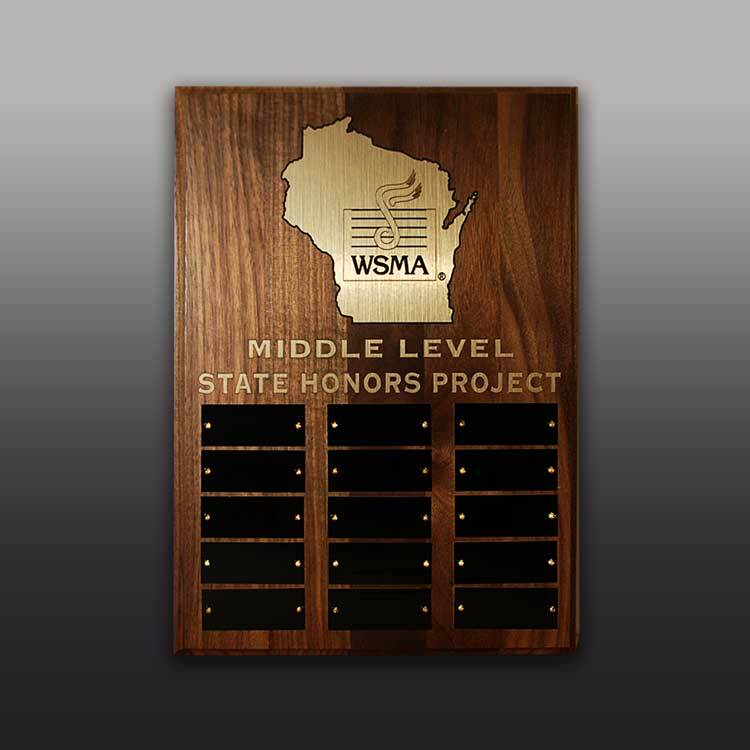 Recognize your WSMA State Honors Project students in your classroom with the Middle Level Honors Perpetual Plaque! A 10"x14" walnut board featuring the state of Wisconsin in gold with the official WSMA logo and 15 black plates for the names of your students. Please note there is an additional $3.00 shipping charge for this item.